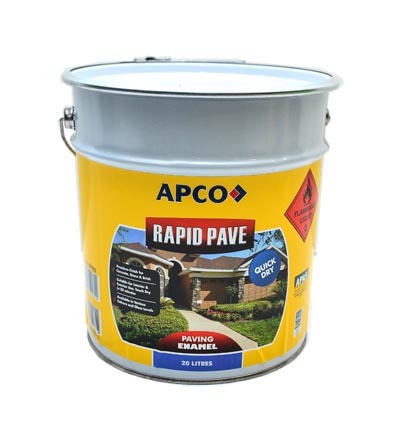 APCO High-Shield Roof Acrylic Gloss is a premium, high quality self priming 100% Acrylic based gloss finish for exterior use on concrete ,cement,bare timber ,brick,fibre-cement board ,masonry and galvanised iron.It is recommended for the protection of new and previously painted concrete tile and metal roofs. It is flexible, with high durability and offers long lasting weather protection. 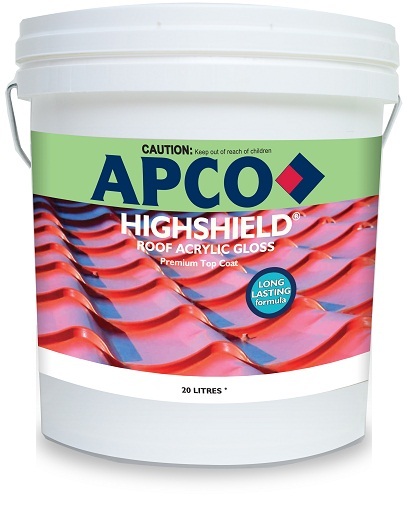 APCO High-Shield Roof Acrylic Gloss provides a non-toxic film when fully dried, has excellent adhesion to the substrate and protection against the sun’s UV rays and punishing rain and weather. With pigment suspension in the acrylic polymer emulsion means that the colour and finish will last longer, will not chalk or powder, as in the case of alkyd based coatings. APCO High-Shield Roof Acrylic Gloss is made in Australia, for protection against the harsh Australian conditions.